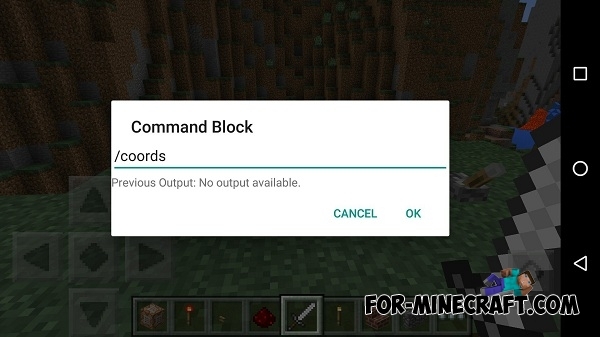 If you are tired of waiting for the command blocks in Minecraft Pocket Edition 0.14, we recommend you to download this mod which adds a command blocks and their functions in the game! The command block will activate text command that you type into it (if you activate redstone). 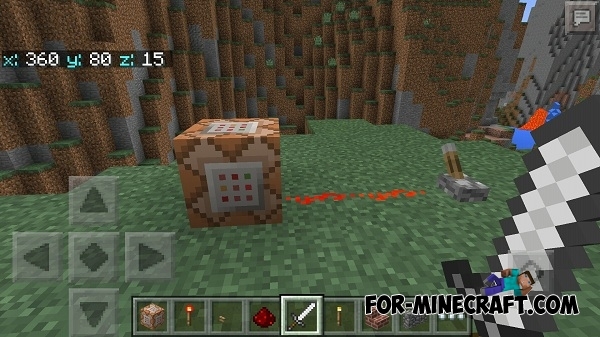 Command Block (id: 137) can be obtained in the inventory of the creative mode or by using mods. You can use commands from other mods to make it easier or use ModPE methods. Now we will show you how to use Command Blocks together with Simple Commands. After installing of mods go into the world and begin to place the command block. Tap on the block to open its interface. You need to type command in the window. This command will be activated in contact with Redstone. 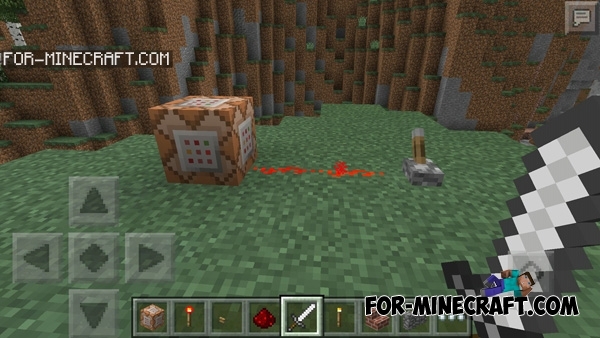 Place the redstone dust near the command block and, for example the lever, then activate redstone dust. 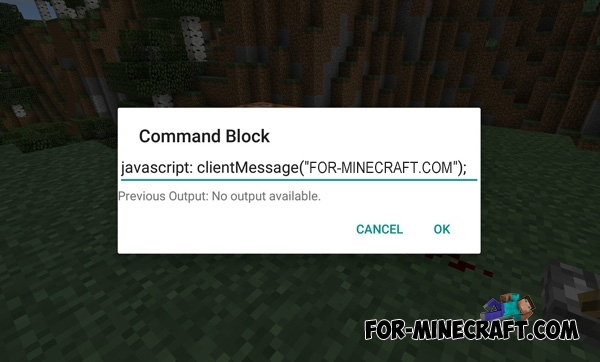 After that, the command block will activate text command! And now let's look at a way to activate commands without using of mods. For this purpose you need to know the ModPE methods. A full list can be found here - CLICK. "Ok" for saving and activate the command block. Level.setRain Level (1); (0 - disable rain, 1 - rain) - enables or disables rain. Level.explode (x, y, z, radius); - creates an explosion. Player.addItemInventory (ID, amount, damage); - adds the item to your inventory. Go to «ModPE Script» section and click on the "Add"
Can this be used in Ios? If so, how can I put it?